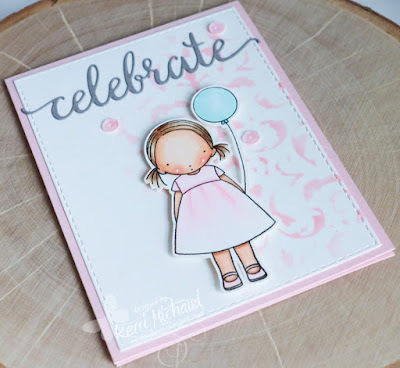 Simon Says Stamp Wednesday Challenge #2-Happy Birthday! Hello! 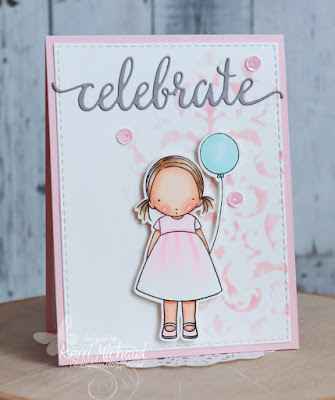 I was able to make another card for the current Simon says Stamp Wednesday Challenge! They are celebrating their 9th birthday, so the theme is Happy Birthday! I started by cutting some white cs using a Taylored Expressions Stitched Rectangle Stacklets. 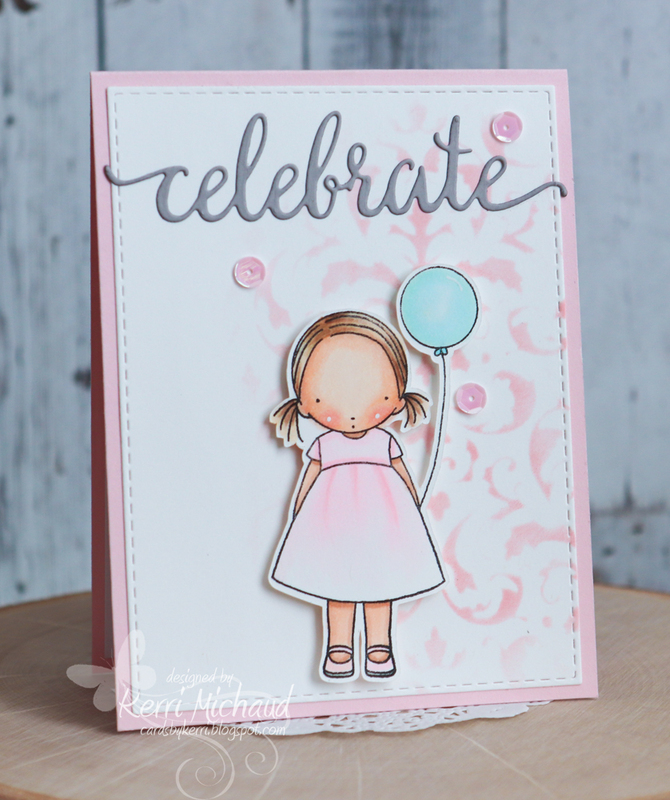 I then sponged it using the Prima Flourish Stencil and some Worn Lipstick Distress Oxide Ink. I cut the sentiment out of gray cs using the Your Next Stamp Fancy Celebrate Die. My sweet image was colored with Copic Markers and popped up with Foam Tape. I added some TE Sequins to finish it off.